Looking to drive a reliable new car into your life? A new Toyota Highlander could be perfect for you! Online or in person, our wide variety of new Toyota models does not disappoint. Stop by Oxmoor Toyota and test drive a Toyota Highlander from our incredible selection of new vehicles in Louisville, Kentucky today. From new vehicle specials to new Toyota incentives to special military discounts, there are plenty of ways to save on our new Toyota Highlander inventory here at Oxmoor Toyota. And whether you take advantage of our Internet Fast Pass or work one-on-one with our finance department, buying or leasing a new vehicle from Oxmoor Toyota is easy. 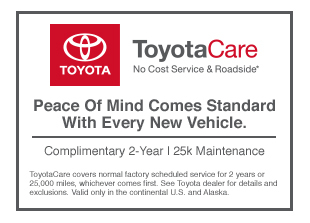 To learn more about how you can save on our wide variety of new inventory, give our new Toyota dealership a call today. Ready to value your trade and save even more on one of our low-priced used vehicles or new Toyotas in Louisville, KY? Whether you start with our easy-to-use online auto financing application or convenient payment calculator, getting the ball rolling is simple. And of course, our team of auto financing experts is always here to help! To value your trade and get a new Toyota Highlander SUV, or to explore our new vehicles and learn more about your buying or leasing options, get in contact with Oxmoor Toyota today.